Last week, I had one of the best days of my working life to date. It’s been 7 years since I started visiting factories around the UK but until now I’ve not had the chance to incorporate it into my day job too much. At Winkreative, we’ve been lucky enough to work with the wonderful team at Begg & Co., a cashmere scarf and throw maker of the highest quality, over the last few years — taking the brand from idea to firmly established in a relatively short amount of time. This has only been possible through the team’s expertise which comes from Alex Begg, a company with over 150 years of experience in producing the finest scarves for some well-known luxury fashion brands. Given I was there for the day with work, I sadly didn’t have the chance to interview the workers themselves, but we were shown around by David Woodhouse, the technical director of Alex Begg. To spend a couple of hours with David is a real thrill for anyone with an interest in textile manufacturing — he has decades of experience and many a great anecdote. The Alex Begg factory is in Ayr, an hour or so drive from Glasgow airport. It’s an unassuming set-up from the outside, sat opposite a grey block of flats on a side road in the town. Once inside it’s a treat. Machines old and state-of-the-art sit side-by-side, workers of all ages go about their incredibly intricate and painstaking work with quiet efficiency. The yarn store: where order reins supreme. 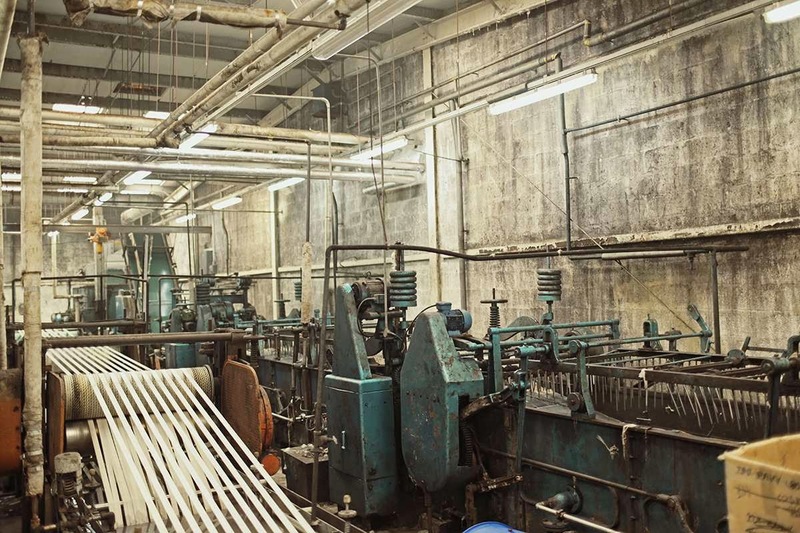 An incredible weaving machine, where the master weavers thread all the yarn through to begin making fabric. Into the next room where we were shown these stunning machines that can weave like the clappers. Before the scarves leave the factory for retailers, they go through a rigorous washing and, well, beating process. This machine was pummelling away. 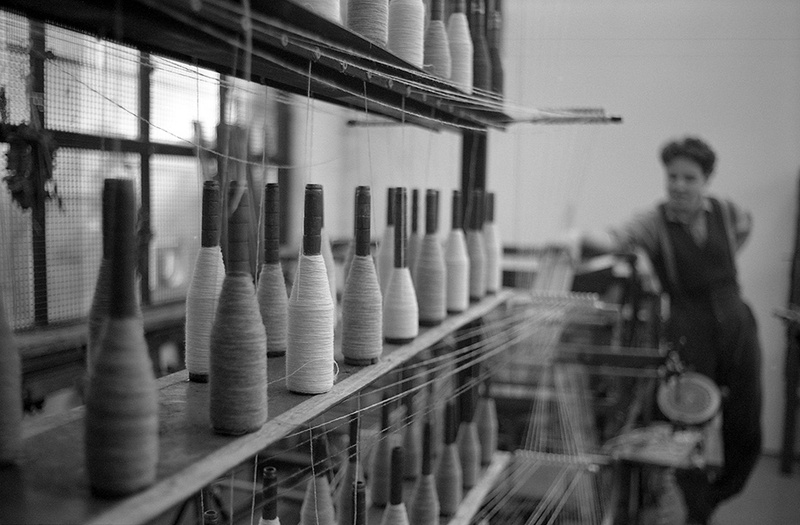 It's part of the reason why Alex Begg cashmere can be so soft. For its scarves, Begg & Co. uses teasels, which have largely been pushed out of favour by metal ones over the last century. In the first photo, David is showing us how they can be packed into the frames. The frames are then placed on to a machine (second photo) with a rotating hub that the material is wrapped around. The momentum 'raises the nap'. Brilliantly, David tracked down a teasel grower in Italy in order to ensure the best quality and size crop for Begg to use. The farmer has two fields just for Begg. We also learnt about the origin of 'on tenterhooks'.... It turns out that it's related to the drying of fabric and ensuring it doesn't lose its shape. David recommended a book that covers textile terms — I need to ask him to remind me of its title. This final image is of the press that all products go through before leaving the factory. The stacks of paper were sourced by David and are uniquely coated for the task. However, the production of them has ceased — so once it's gone, it's gone. Any producers of such items, do get in touch! For more images of the visit, please head over to the M&I Facebook page. The brilliant team at Make Works visited Alex Begg in 2013 and produced a nice video of goings-on at the factory. Building on the country’s strong heritage in industrial engineering, designers are experimenting with new materials and modern techniques. In addition, higher costs and demand for locally sourced products has increasingly seen the production process shift back to the UK from Asia. 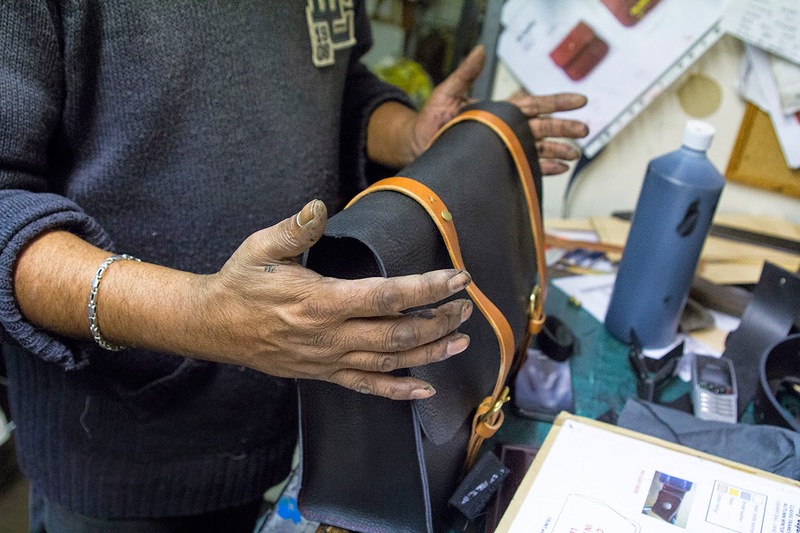 British designers are in demand throughout the world for their skills and high quality craftsmanship. Events such as the London Design Festival and Clerkenwell Design Week attract increasingly large international audiences keen to see, and crucially, buy what UK furniture makers are producing. This video that features furniture designer Sebastian Cox discussing the closure of furniture courses and Zeev Aram on the absurdity of exporting UK trained talent only to import their designs is also worth a watch. Some may wonder why saving Middleport is so important, given that it is merely one of many factories in the area. The fact is, though, that Middleport is special. It is the only factory left that still uses the finest method (apart from hand-painting) of applying decoration – the 19th-century underglaze transfer printing method, which depends upon hand-engraving the patterns on to rollers. The Make Works Directory makes sourcing factories, fabricators, workshops and facilities simple, allowing you to find local fabricators, material suppliers and facilities. 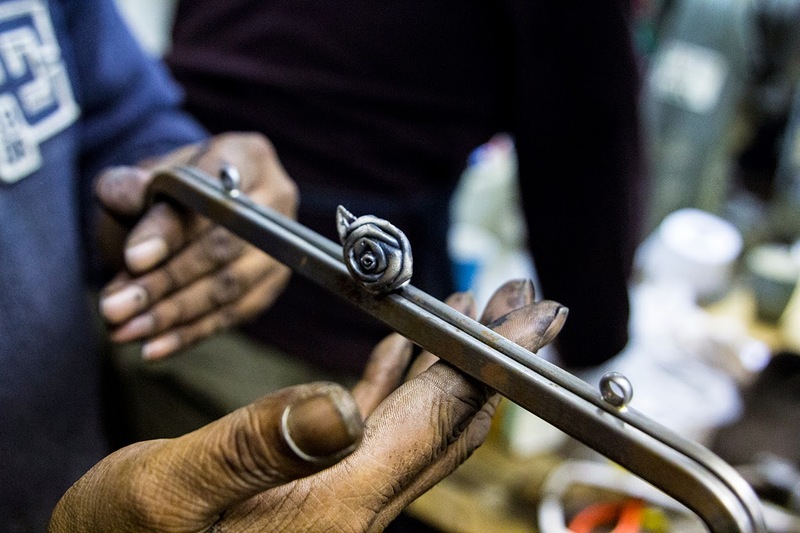 We spend most of our time hunting out the best fabricators for artists and designers to work with. Then, we make films, take photographs and collect the practical information required and showcase them on the Directory. The aim is to enable the production of work locally. Patrick Grant takes BAFTA winning Documentary Film-maker Ian Denyer and Photographer Chris Floyd on a two and a half thousand mile, eight-day tour around Great Britain to document the heritage and craftsmanship behind some of the legendary manufacturers who make the cloths and clothing for the E. Tautz collections. For thirty years Gladys Jones and Sir Adrian Cadbury worked at the same factory in Bournville in Birmingham, but never met. They now come together to reflect on their lives then and now, and the love of chocolate and sport that unites them. It was my privilege to work with Butler & Tanner, one of the greats of the golden age of British printing, which sadly went into administration yesterday with the loss of one hundred jobs. Thus a company that started in 1845 is no more and its history ends here. Having worked with Olivetti, Alessi, Cappellini, Flos, Muji and SCP amongst others, designer Jasper Morrison is a powerhouse of British design, with recent commissions including furniture for the Tate Modern, the ATM desk for Vitra and a range of pots&pans for Alessi. 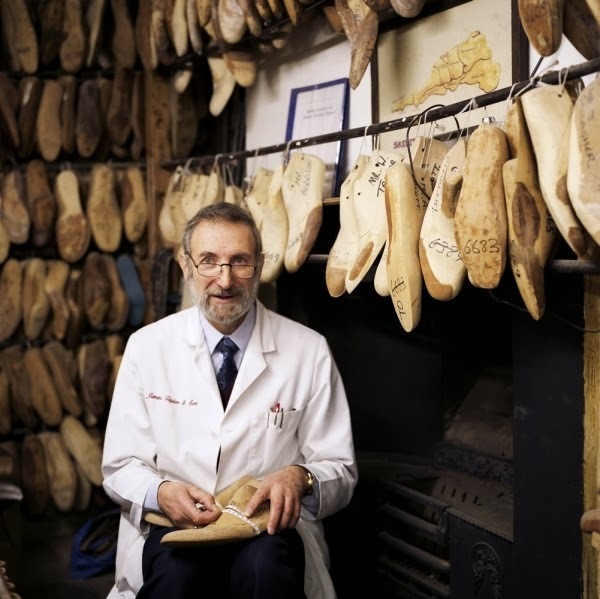 John Lobb has been producing shoes in the English town of Northampton since the mid-19th century. Now, the revered shoemaker is set to grow. But how do you scale a brand with a business model rooted in traditional craft? “You missed me,” wrote Junior Persaud in his first email . It came with a link to a story on Spitalfields Life. This was in October last year. A few weeks later, on a damp winter’s evening I was stood in his Homerton factory along with my friend Julian, the photographer for this visit. 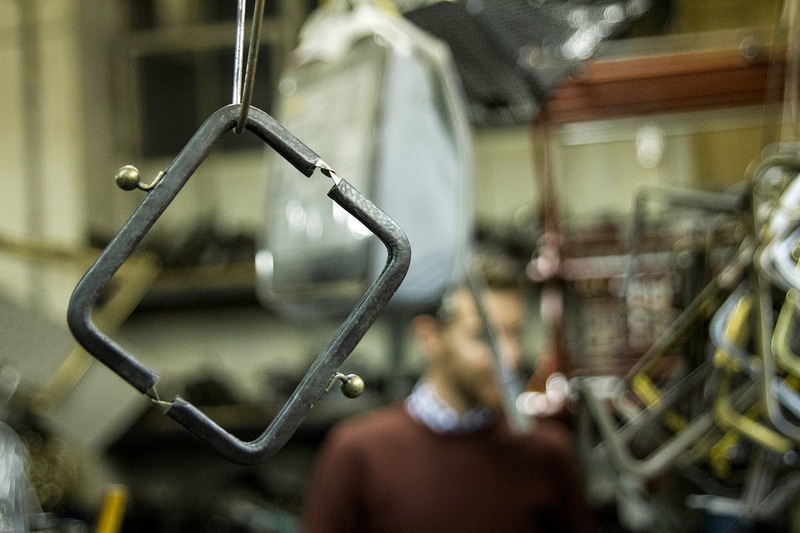 For Persaud, the business of making bags seems to be as much, if not more, about the people and their stories as it is about the product and profit. An hour spent with Junior is a fascinating one. Within moments of us arriving he’s telling us about his newborn boy (who arrived just days earlier), showing us around the cluttered space, explaining the company’s history and plucking metal frames from hooks hanging above to explain different jobs undertaken over the years. 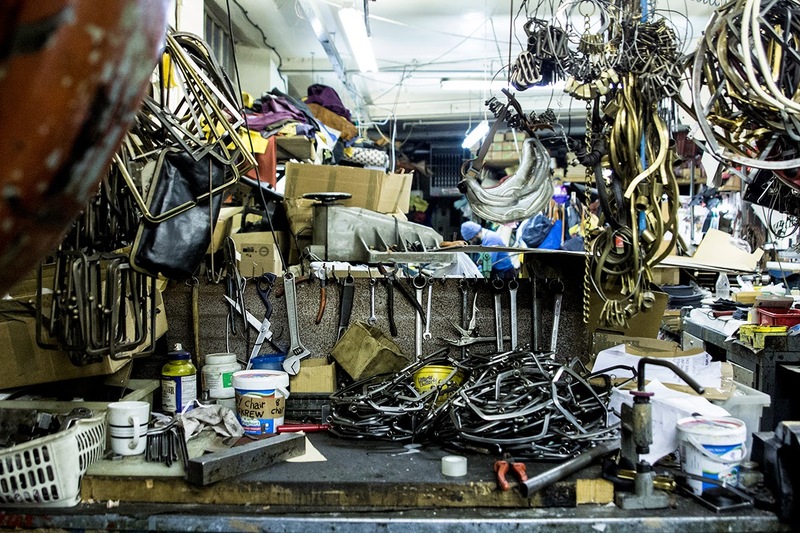 Despite the sheer amount of work and tools that surround us, Persaud knows exactly where everything is. Demand is high for J&A’s creations, when we leave, two machinists are still working away while chatting to friends and family on their phones (in-ear headphones required, to allow for hands-free talk), according to Persaud, late nights are common at present. J&A has produced bags for the likes of Paul Smith, Lulu Guinness, Christopher Raeburn and Ally Cappellino over the years. Needless to say, the quality is of a premium. 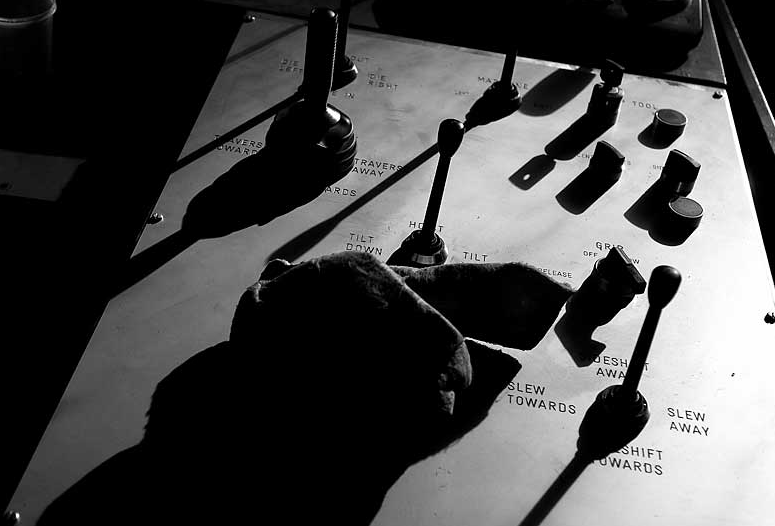 “We use point eight gauge steel here, whereas the Chinese bag makers will use point five, point six. Ours is a tenth of the thickness of a Lancia. They’re not the toughest cars but for a handbag that’s pretty good. We hand braise everything. Everything is double welded so we can give our fittings a life range of eight years. Ally (Cappellino) wants her bags to last so we’ve toughened up our frames as much as we can. They’ve got a good shelf life.” On this particular evening, some sturdy looking numbers are being made for product designer Tom Dixon. Persaud’s address book, a who’s who of British design over the years, would be the envy of many. As we shuffle about this vast old warehouse, Persaud’s story hurtles back-and-forth, with tales of brothers who traded exotic animal skins decades ago to the coming of the “hop, skip and jump” Olympic Park, situated a javelin throw away from the premises we’re stood in. 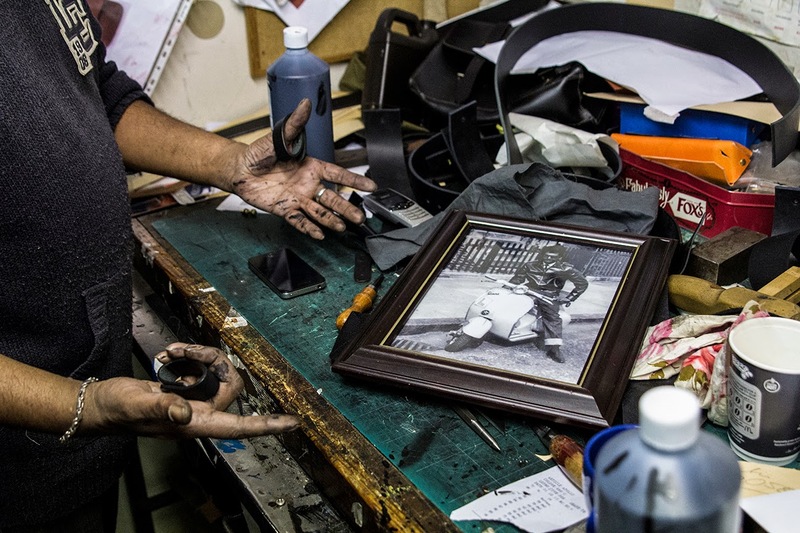 "In 2007, I started a photographic project about people who run such businesses. It was to be an addition to my portfolio, an excursion into portraiture that I had planned to complete in a few months. Instead, I continued to photograph shops and workshops, shopkeepers, and craftsmen and -women for the following six years. I was curious about people, who, despite unglamorous routines, take pride in their work and have a sense of themselves closely linked to their occupation." 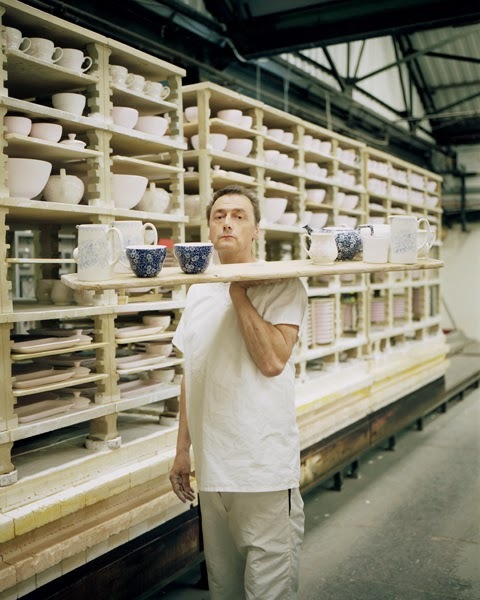 "Stoke-on-Trent’s identity as the home of the ceramics industry was thought to be a thing of the past. But when we headed to the Staffordshire city we found a vibrant and positive scene and it’s clear the skills haven’t gone anywhere." "Today, new centres of creativity are booming on the edges of the city, inspiring, dictating and rejuvenating contemporary London lifestyle. Through video-interviews, filmed in Brixton, Hoxton, Bermondsey, Shoreditch and Hammersmith, an eclectic array of creatives and entrepreneurs elaborate on the ways in which their work and lives impact the neighbourhood and how the neighbourhood has influenced them." "Tony Lutwyche, a Savile Row suit-maker and former army officer, says it would help the industry if Europe and the UK could force manufacturers to put a country of origin on the garments. “I think it is marginally immoral when a company claims to be British when they do not make anything here." "Made in Britain was launched by Liverpool cooker manufacturer Stoves. The company ran a competition inviting students to design a marque that could be applied to its products to show they were made in the UK and later invited other companies to use the symbol. "Present at each stage of production are the standards and inimitable know-how accumulated over the last 150 years. Over that time, a few things have changed — some faster than others — but it’s still the precise same product off the line, same portraits of the founders in the entrance-way, and the same name above the door." A characteristically well put together piece on the last horn button factory in the UK, in the West Midlands, from S.E.H Kelly. I sometimes struggle to keep up with their output, so I suggest you peruse their site's 'Makers' section in its entirety. "The project was inspired by an attraction to the aesthetics of these workplaces, but also by an interest in what the practices of fixing, mending, repair and renewal could reveal about the way people value things, and each other." "In this two part series, Steph McGovern looks at both the bigger story of silk production, but also takes a close look at how silk shaped one particular town - Macclesfield in Cheshire. Here, silk has been processed, woven and printed for four centuries, and had a profound effect not just upon the built environment but also the social world in which its inhabitants lived." "Sheffield is one of the best places in the world to get a sense of how new thinking allied with clever technology and global marketing can transform traditional industries"
Peter Bellerby - The Globemaker from Cabnine on Vimeo.